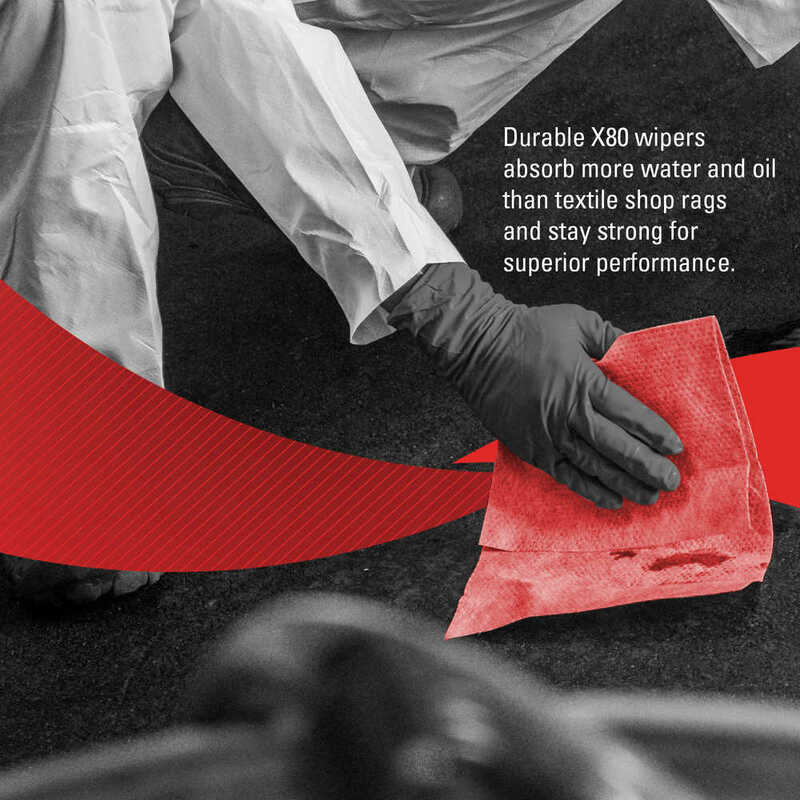 Whether you're cleaning up grease or soaking up spills, it pays to use the best supplies. 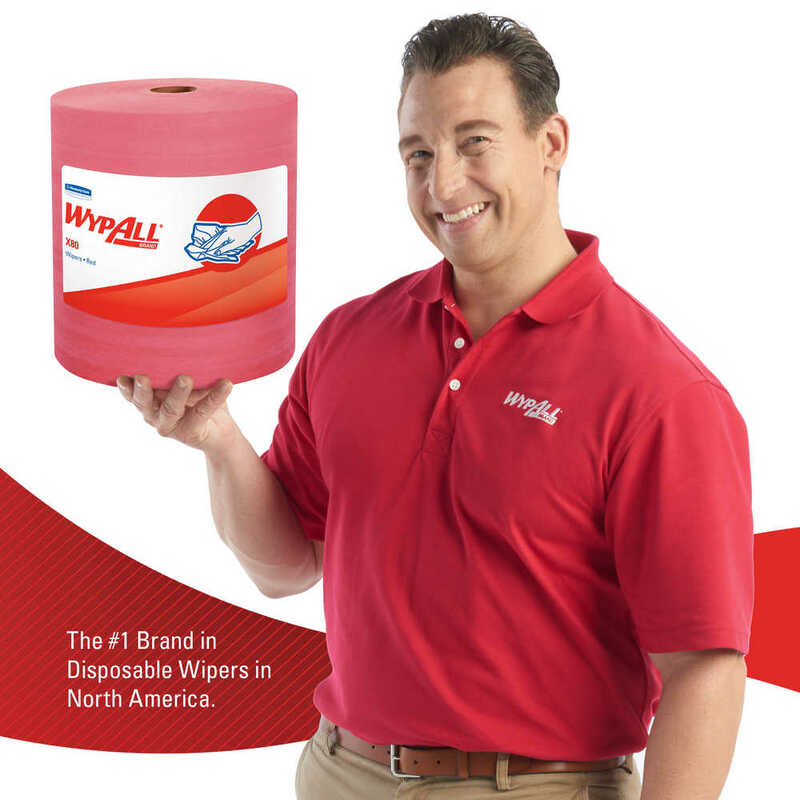 Trust the WypAll Brand, the one that sets the standard for excellence in cloths. 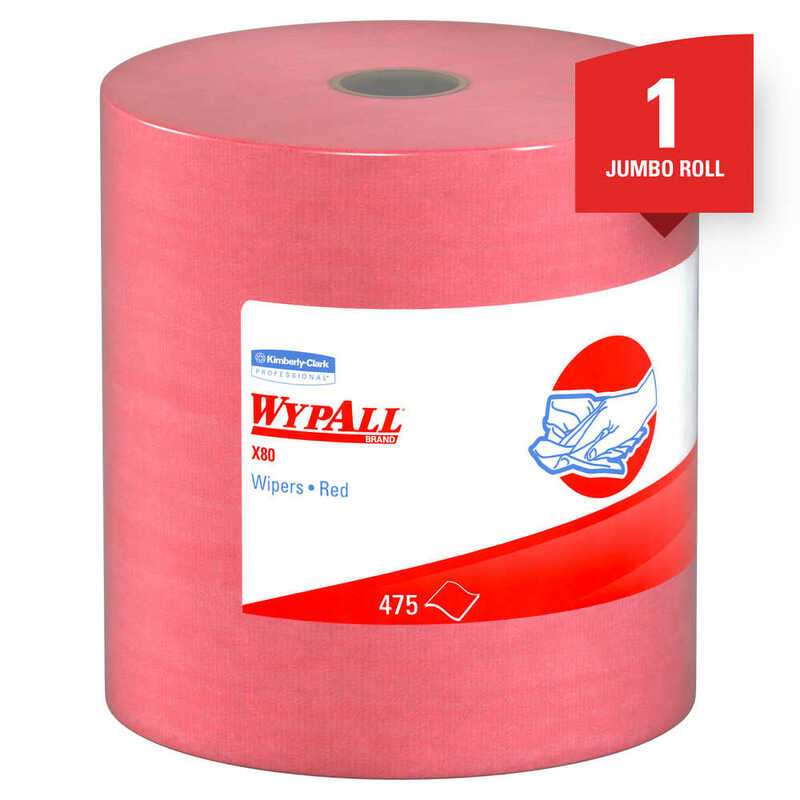 WypAll X80 Extended Use Cloths feature innovations like high-tech HydroKnit fast-absorbing material and are durable for scrubbing. 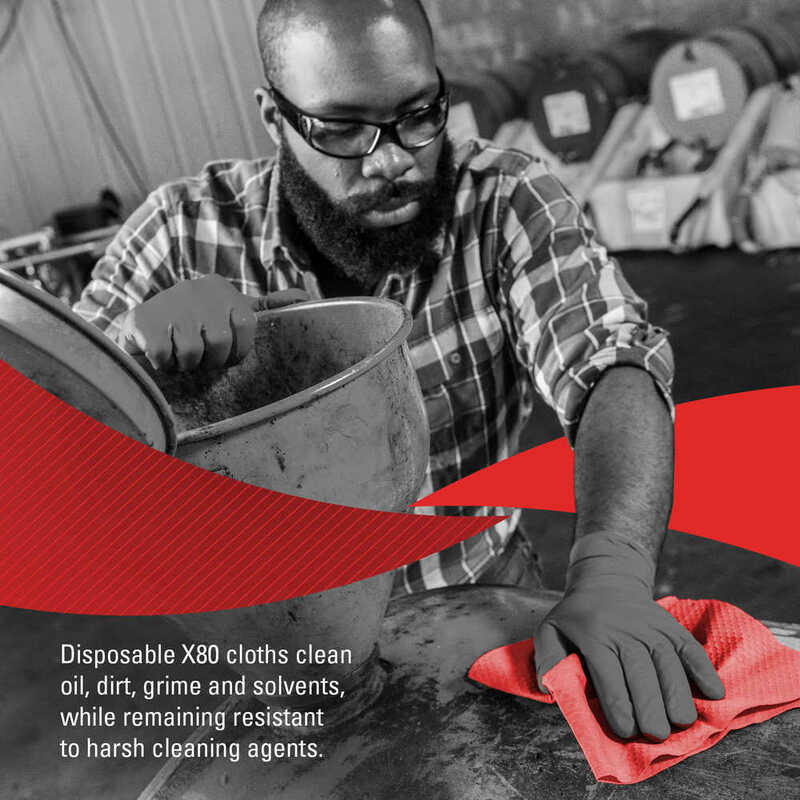 These contaminant-free commercial cloths are a favorite replacement for industrial cloth towels, which can harbor dangerous chemicals, such as lead (In a 2003 Gradient study, 100% of the sampled laundered shop towels tested, lead was detected at levels that may exceed health based exposure guidelines.). 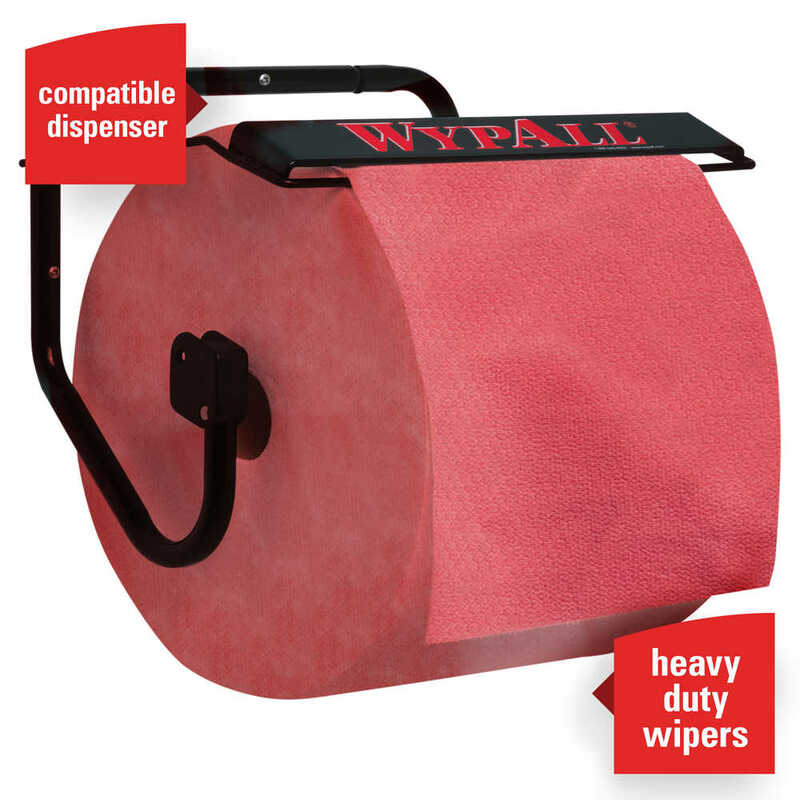 WypAll X80 are made of soft pulp fibers, bonded to a polypropylene base sheet for absorbency and durability, making them suitable for removing dirt, oil, grime and solvents in industrial and manufacturing businesses. The reusable cloths are reinforced for strength when wet and dry. 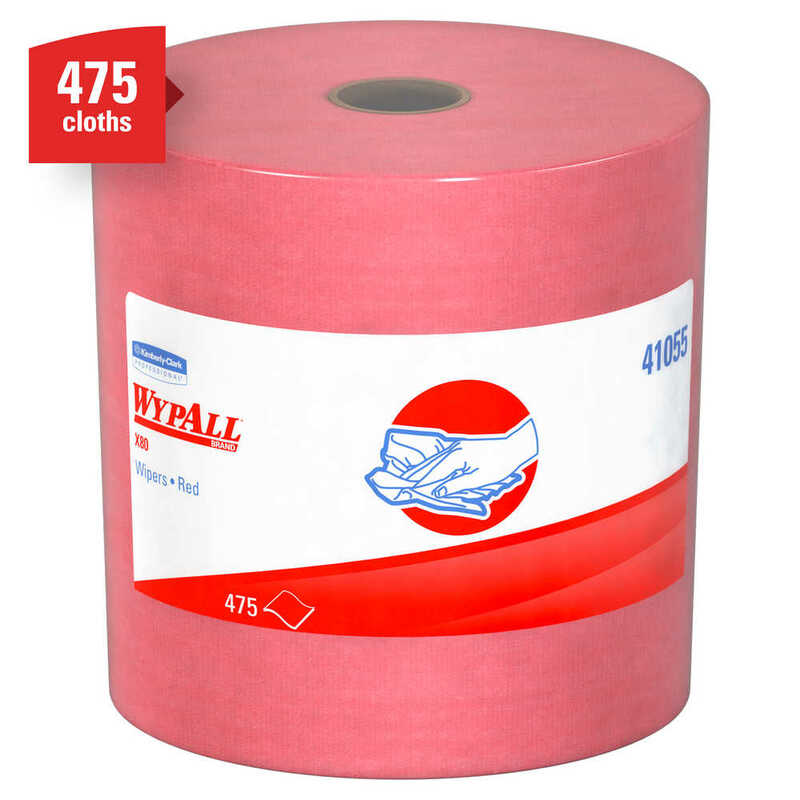 These bulk cloths are a great alternative – safer and more efficient – to replace laundered rental shop towels or and cleaning towels. Use them for heavy duty machine- and part-wiping, wiping metal shavings, prepping surfaces with solvents and cleaning rough surfaces. After all, every business gets dirty. 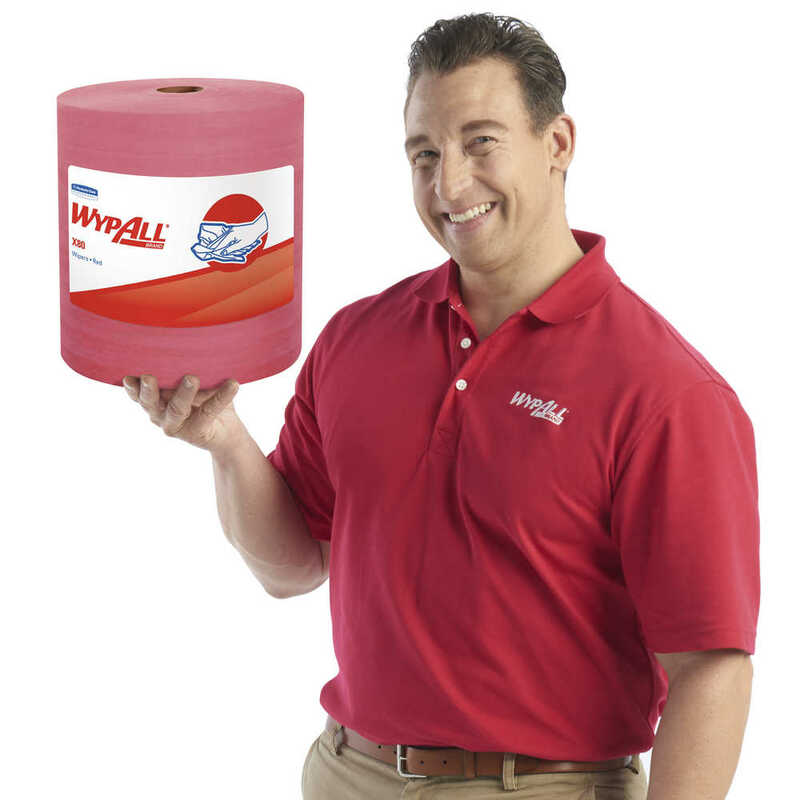 But for the toughest grease and grime, you can trust Wypall X80 Cloths.